For gamers and fantasy fans alike, a fast-paced, stand-alone adventure that brings the popular trading card game Magic: the Gathering® to life. Lurking in the space between the aether and the physical plane, there is a great evil waiting to emerge. 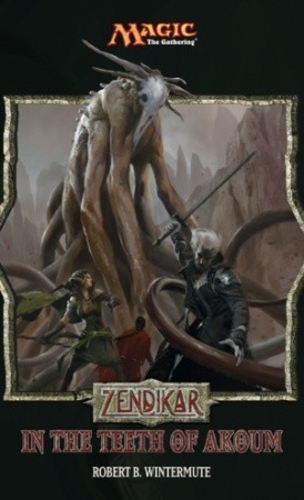 Zendikar is a land of danger and adventure, a world of deadly risks and priceless rewards. It is also a prison to one of the most deadly species known to the Multiverse: the dreaded Eldrazi. When our story opens, part of the mystical containment spell that has kept the Eldrazi captive for millennia has been breached. The brood lineage, the Eldrazi minions, have been released and are poring over the plane, devouring everything in their path, but the swath they cut across the land is nothing next to the destruction that the still-imprisoned Eldrazi Titans will wreck once released. Nissa Revane, a planeswalker and proud elf warrior of the Jorga Nation, is witness to what the brood lineage can do. She sees that they pose a bigger problem than most suppose. Sorin, an ancient vampire planeswalker, knows this as well as anyone because he was among the original jailers of the ancient scourge. He has returned to Zendikar to make sure the Titans do not escape. They both want the Eldarzi threat extinguished but each has their own agenda. Nissa wants the Eldrazi off her plane entirely. Sorin wants to put the lock back on their cell. And there are still others who want the Titans to escape. Together they set out across the land on search of the Eye of Ugin, the source of the Eldrazi uprising, where they will face what could be their final challenge. Will the Eldrazi escape to menace the Multiverse once again?